Want to SEO your Mortgage/Loan website? Mortgage/Loan Service providers (like loan and mortgage brokers, mortgage companies) have a lot to gain from Search Engine Optimization since most users begin their home search and mortgage research online. Thus Mortgage/Loan Services SEO is very significant for their online success. There is no doubt that Mortgage and Loan Services is one of the most fiercely competitive markets on internet. With millions of websites out there through-out the world, it takes very special mortgage SEO skills, experience, planned and dedicated efforts to be able to show up and accomplish top 10 rankings in Google/Bing for your mortgage/loan website. * Analyze high traffic business keywords for your website to target. * Increase qualified leads from buyers and sellers via optimizing those keywords in search engines. 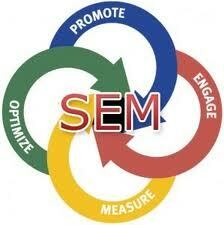 * Increase sales from your website by optimizing the website especially to convert visits to potential leads. * Improve overall website’s search engine presence and traffic. * Increase direct sales by listing and optimizing your website in various high traffic local listing websites. Contact me at himanshu.swaraj@gmail.com for your free Mortgage/Loan website analysis. You can also fill in the form at the left.